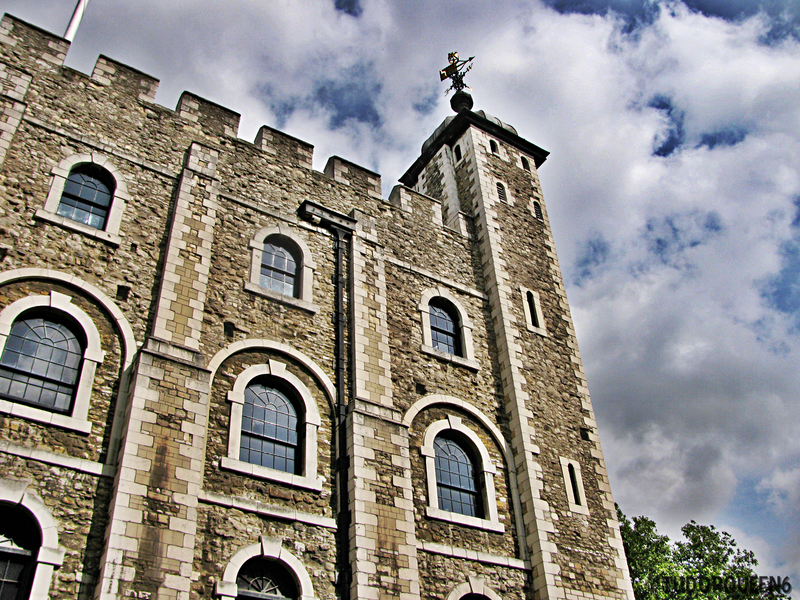 This entry was posted in The Family of Katherine Parr, The War of the Roses (1455-1485) and tagged Alice Hawte, Ancestry of Green family, Anne Green, Fogge of Kent, Green family, Greens Norton, Greens of Green Norton, haute family, hawte family, joan fogge, lady parr, lady vaux, Lord of Green Norton, Maud Green, sir thomas green, sir thomas parr, Woodville family, Woodville relations by tudorqueen6. Bookmark the permalink. You have listed information about the Greene family using contemporary records that are not accurate. I have researched the Greene line for over 10 years reading Latin records, Feet of Fines, IPMs, calendar of Patent Rolls and Close Rolls, etc. What you have written is not backed up by these original records. For example, there is no such person as Sir Thomas Greene (b. 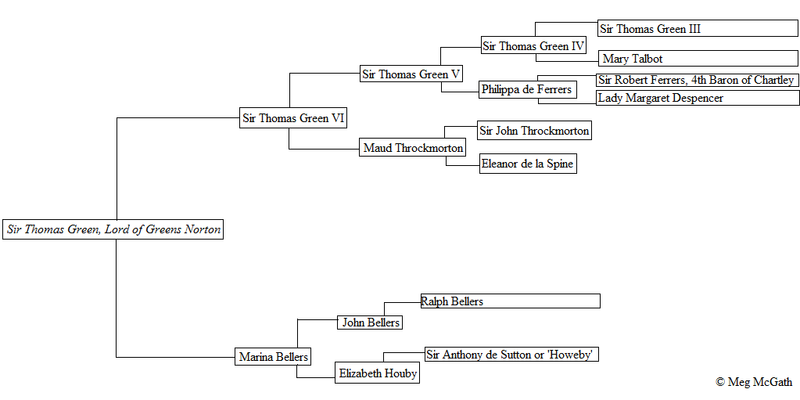 1292) son of Thomas de Greene Lord of Boughton/Buckton. The early Greenes were not from Norwich but more likely Yorkshire. 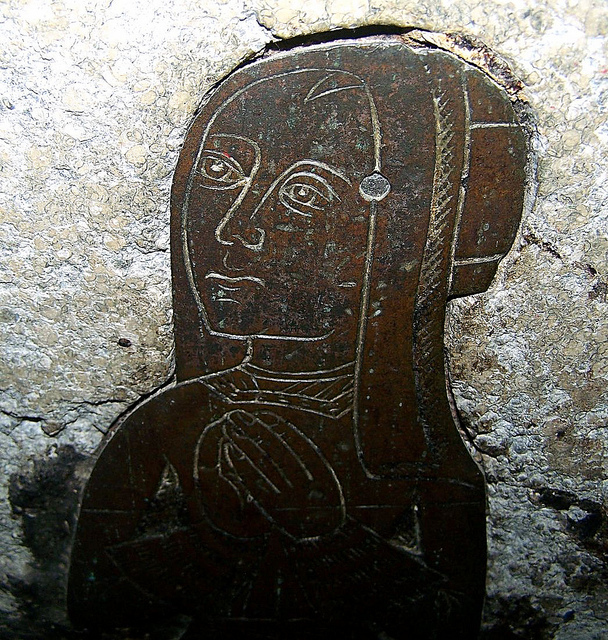 The beginning of records for the Greene line in Northants doesn’t start until the Greenes married into the family of Thomas de Boketon and his wife Johanna, Lord and Lady of Boughton about 1303. 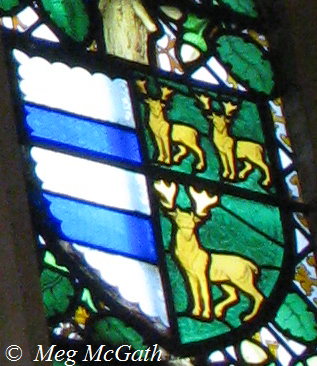 A Northamptonshire Fine of Edward III shows a Henry Green, Jr. of Isham and a Henry Green, Sr. of Isham as contemporaries of Sir Thomas de Boketon and his wife Jane who sold the Boughton Manor to Henry Greene, Jr. of Isham in 1341. The purchase of the Boughton manor is the beginning of the Greenes in that area as they originated in Isham. I hope you consider doing your own research as it relates to the Parr family. Do you have sufficient records and sources that you could actually share with me? My sources are listed. I’ve never encountered any issues with them before. I’ve also been researching the Parr family for 11 years now—so if these sources listed are not proficient I welcome actual sources that you have found. The Greene line is also preserved by genealogical writer Douglas Richardson which I have used. I also used Church records from where the Greene family is buried. Like I said, please provide sources for your information that can actually be seen.